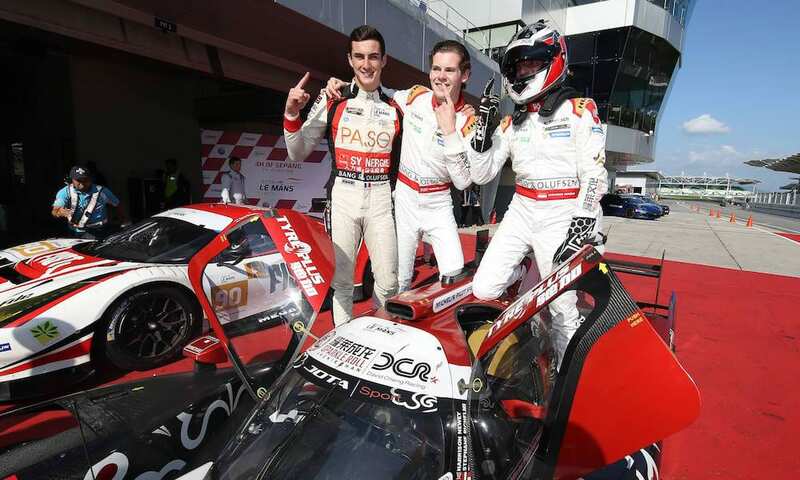 Young Briton excels in maiden sportscar campaign with three wins from four races…. Harrison Newey has claimed the 2017-2018 Asian Le Mans Series LMP2 title along with co-drivers Thomas Laurent and Stephane Richelmi after the trio recorded first place in the fourth and final race in Malaysia on Sunday. The result marked a stunning 100% podium finishing record for Newey in the series – Harrison only switching from single-seaters to racing sports-prototypes for the opening race last October having just completed his second consecutive season in the FIA Formula 3 European Championship. In addition to today’s result at Sepang, 19-year-old Newey had taken the Jackie Chan DC Racing x JOTA Oreca 05 Nissan to victory in the four-hour races at Zhuhai and Fuji and then second place in the 6 Hours of Buriram in Thailand – a third potential successive win denied by a problematic downshift issue. Unsurprisingly at the post-race Gala Awards, Newey was presented with the ALMS “Rookie of the Year” Award. 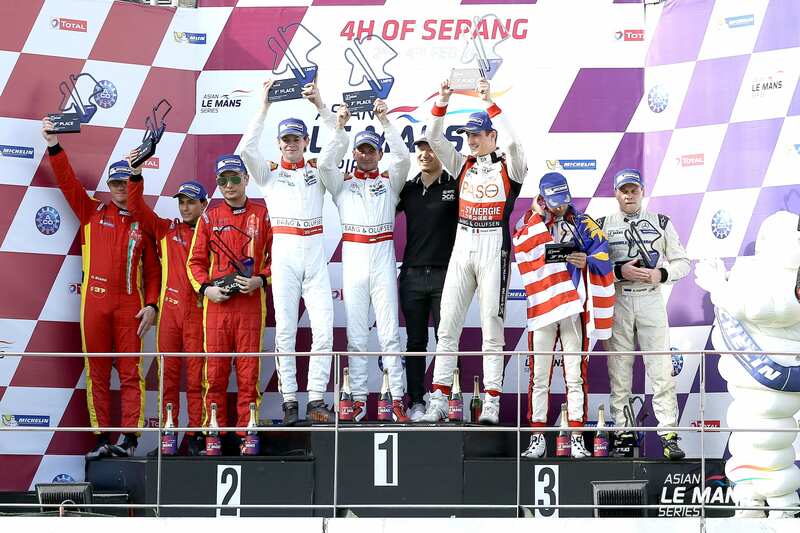 Newey, the 2016-17 MRF Formula Ford 2000 Challenge champion, completed a clean and consistent double stint in Sepang, having taken over from Laurent– who had started third on the grid – and handed the ORECA over to Richelmi with a 12secs advantage. Newey/Laurent/Richelmi were embroiled in a race long battle with the Anglo-Chinese team’s “sister” team car which it ultimately overcame by over one-minute at the chequered flag to claim the win and the title. “I’m absolutely delighted to have won the title. Three wins and a second place in my four-race sportscar career is pretty special. “I’d not been to any of the four tracks before these races, while the only sportscar experience before climbing aboard the ORECA in Free Practice 1 at the opening Zhuhai event was 20-laps at Monza in July 2016. “The Chinese race was the first time I’d ever raced a car with a roof and ‘closed’ wheels. I’ve really enjoyed racing in sportscars. The length of the races have obviously been much longer to what I was previously used to in single-seaters.